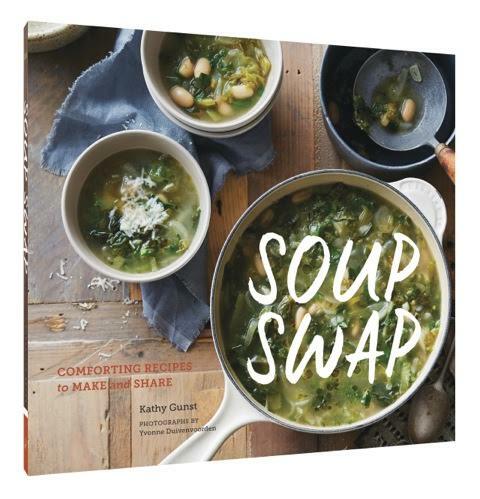 I was delighted to be invited again by the authors of The Book Club Cook Book to participate in their #SoupSwapParty to celebrate the just-released cookbook by Kathy Gunst called Soup Swap! Kathy is a James Beard award winner and the resident chef for NPR's "Here and Now." This cookbook is filled entirely with soups and accompaniments. Kathy teaches you how to make different types of stocks from scratch (roasted chicken stock, recycled chicken stock from leftover bones, beef broth, and veggie stock), how to make different types of soups (hot and cold as well as a variety of different meats), and toppings and sides to go with her meals (like skillet cornbread)! I've made four recipes so far from this cookbook and I must say that Kathy's recipes really make me feel like I'm an actual cook, from making my own stock to building layers of flavor profiles in the soup. I had never made stock from scratch so I used this opportunity to make Roasted Chicken Stock; it felt like such an accomplishment and made me feel like a rockstar. "Hey, I made that stock from scratch!" I also made her Chicken, Charred Tomato, and Chile Posole which used New Mexico flavors (New Mexico red chile, pinto beans, and Posole) so you know I had to make it! 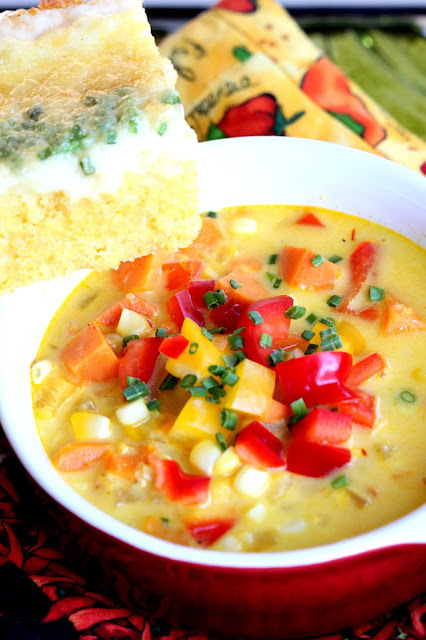 The two recipes that I am featuring on this blog are her Corn and Sweet Potato Chowder with Saffron Cream (see below) and Skillet Cornbread with Chives and Brown Butter. 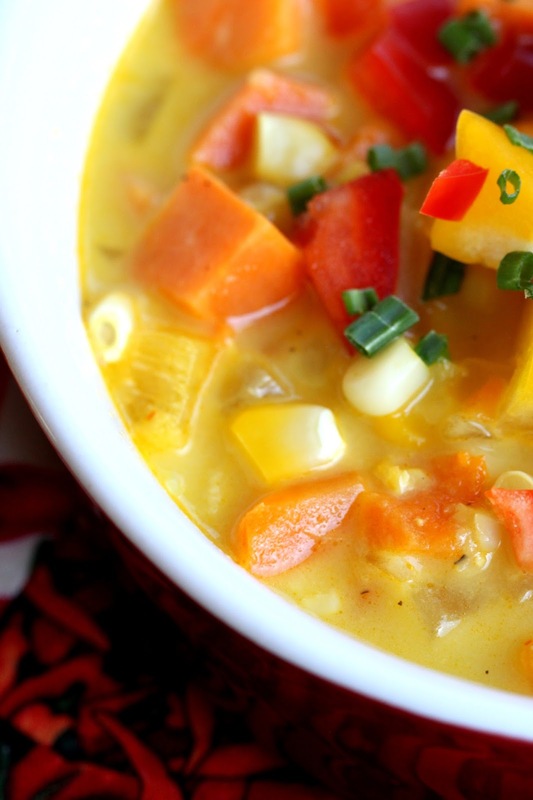 I was drawn to the Corn and Sweet Potato Chowder with Saffron Cream because I had nearly all the ingredients, I grew up with my family's own version of corn chowder (which is very different from this version), and I loved the idea of using the corn milk and using the corn husks in the recipe. 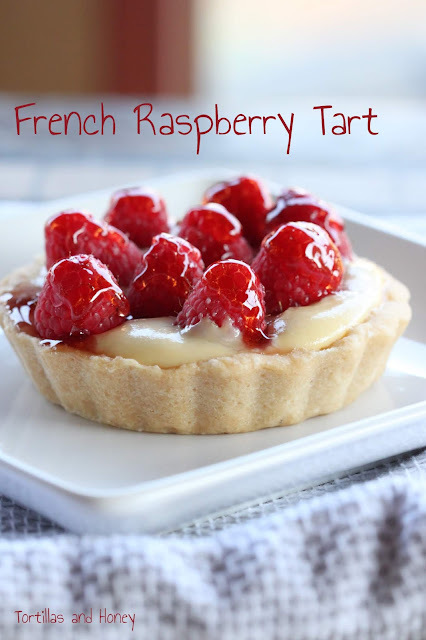 As I mentioned before, this recipe is a prime example of building layers of flavor which I found gratifying. The chowder is incredibly fresh and rich as well as beautiful. The veggies look like little jewels sprinkled throughout! I also want to thank Chef's Choice and Zeroll for their generous gifts to help me prep in participation of this event! gifts to help you with your soup prep! Chef's Choice sent their ProntoPro™ Diamond Hone® Knife Sharpener, which sharpened all of my chef's knives and santoku knives. 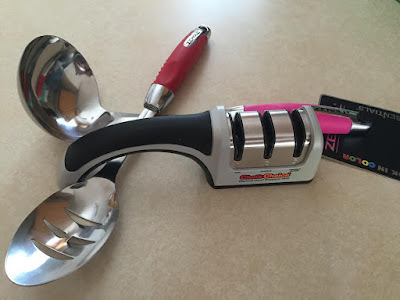 Believe it or not, this is my first knife sharpener and I was thrilled to receive it! Zeroll sent their 4-ounce Stainless Steel Ladle and their Nylon Slotted Serving Spoon which are awesome for serving all these fun soups! If using fresh corn, shuck the ears, remove the silks, and trim off the end so that you can stand the cob flat. Using a sharp knife and standing each cob on its end inside a large bowl, remove the kernels from the cob by working the knife straight down against the cob. Using the blunt side of the knife, scrape down the cob after the kernels have been removed to release the corn “milk.” Mix the milk and corn kernels and set side. Do not throw out the cobs! In a large stockpot over medium-low heat, warm the olive oil. Add the onion and cook, stirring occasionally, for 8 minutes, or until translucent. 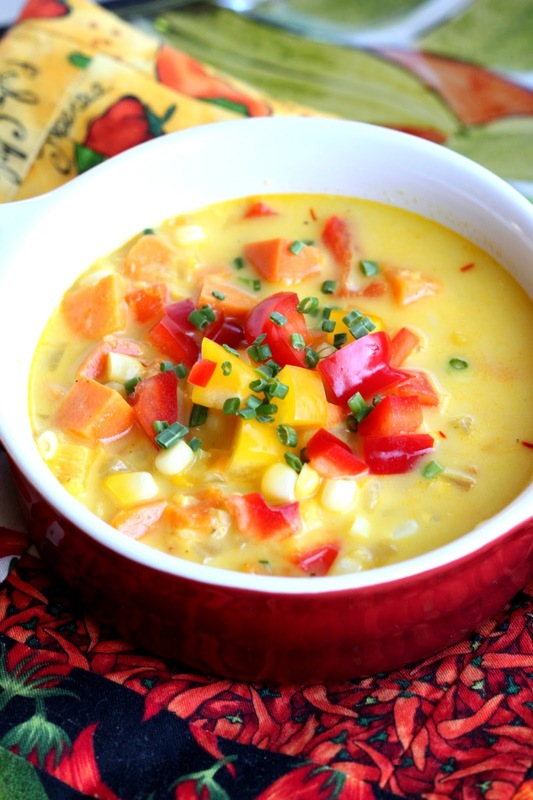 Add half of the yellow bell pepper and half of the red bell pepper and cook for 3 minutes. Add the sweet potato, season with salt and pepper, and cook for 5 minutes. Turn the heat to high, gently whisk in the (remaining) vegetable stock and bring to a boil. Add the corncobs (not the corn kernels). Turn the heat to low, cover, and cook for 5 to 8 minutes, or until the potato is almost tender. In a small saucepan over low heat, warm the cream and saffron and steep for 5 minutes. 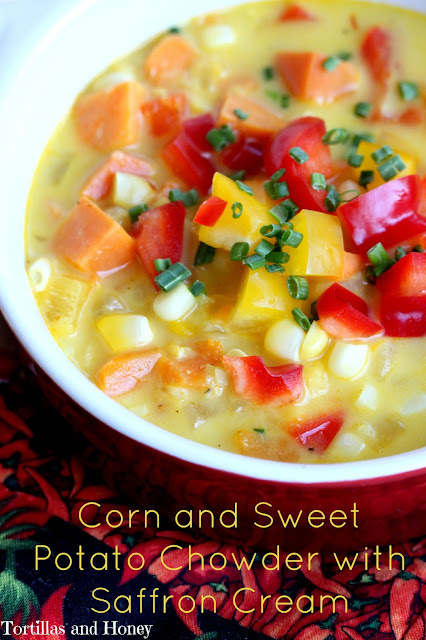 Add the saffron cream, corn kernels, and corn “milk” to the stockpot and simmer for 5 minutes. Taste and adjust the seasoning, adding more salt and pepper if needed. Using tongs, remove the cobs from the pot and, holding each one over the pot, use a knife to scrape off any bits of chowder or corn clinging to the cob. Ladle the chowder into mugs or bowls; sprinkle with the scallions, chives, and remaining red and yellow bell peppers; and serve. Wasn't this cookbook amazing. I can't wait to try more of the recipes. I think this recipe might win the prize for being picked the most from all the #SoupSwapParty participants! Beautiful! Those look like some great tools. Congratulations! Now for the soup...it's gorgeous and your pictures scream "Fall Perfect Soup"!! So many flavors. Great recipe. Thanks for sharing!